A big thank you to all of the members who have responded to our email survey. (You can still respond if you wish to). One of the interesting points that came out was that some members are reluctant to post anything to the forum because very few others post anything. 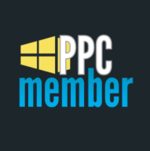 This PPC challenge is therefore a little different. The challenge is for you to post something to the forum - anything PowerPoint related. Any element of a game that you would like to ask "How did you do that?" You should be able to find forum sections for just about everything above, if not, put your post in the 'Anything Else' section and we can go from there. We are really looking forward to getting a few more posts on the forum. Who is going to be brave enough to get the ball rolling? That's the challenge! ListWits wrote: Where's challenge #7? Well now, I suppose that is . . . something. Well done on challenge #6, listy! Any ideas for a #7? Would you like to attempt the other challenges before a 7th one comes out? I'm away on vacation at the moment but will try to issue challenge No.7 when I get back next week.